PPI claims companies are the new cold-calling bane of so many lives. It's bad enough that the banks ripped off so many people by mis-selling payment protection insurance, but now there are scores of companies determined to add insult to injury by offering to reclaim your mis-sold PPI - in return for a big slice of the payoff. The companies cold-calling with these offers are irritating, they are very expensive, and they are totally unnecessary - because it's really not that hard to reclaim PPI yourself. 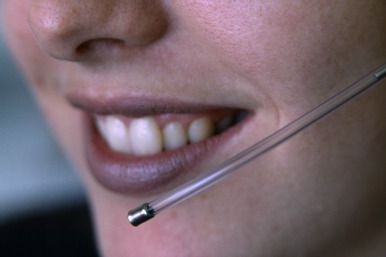 A Citizens Advice survey found that nine out of ten people had been cold-called about these services in the past year. These firms demand around 25% of your payoff in charges. It means that most customers spend over £1,000 on the service. Some are even more outrageous: Citizens Advice found that one client had been charged £4,000 while another had been asked for a £600 up-front fee, without any clarity over whether it would be able to get a payout at all. Have a look at the paperwork for any loans you have. It is likely to appear on the original agreement and on any statements. If may be called payment protection insurance, loan protection, credit insurance, loan repayment insurance, ASU (accident, sickness and unemployment) insurance, account cover or payment cover. If you're not sure, contact your provider and ask. You can download a Financial Ombudsman Service form from the FSA website. You'll need the details of the PPI you bought, where and how it was sold, whether you received any advice, and whether you paid it as a lump sum. You'll need to add in whether it is still running and whether you ever made a claim, your personal details and circumstances, and why you are unhappy with the insurance. Fill all this out and add photocopies of any documents you have relating to the insurance. If you need help filling it in you can call the ombudsman service on 0800 023 4567. The financial firms don't insist that you have this specific form, and there are others produced by other organisations, but using this form will mean you don't accidentally miss any details out. Send this form, and the documents, to the lender who sold you the policy. It then has eight weeks to respond - either to conclude whether or not your claim has been successful or to write to you asking for more time. If they ask for more time, you can either wait a further eight weeks from this letter for a final decision, or take your complaint to the Financial Ombudsman Service. If you don't get a reply in time - or you are not satisfied with the answer - the FoS is your next stop (which you'll need to do within six months of receiving the final response from your bank). You can use the same claim form, and attach copies of the same documents. They will then ask your bank for information relating to how this product was sold to you, and make a final decision.